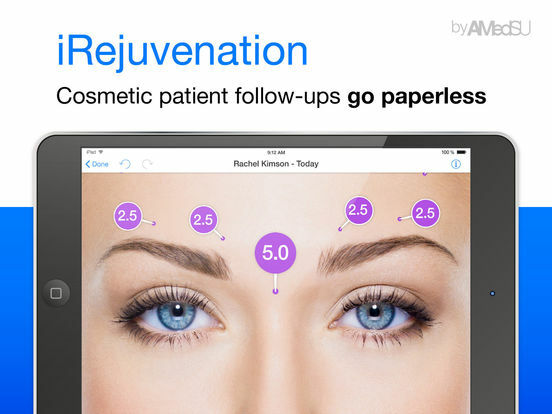 #1 Medical App for non invasive aesthetic surgery professionals. Key Features:High Precision Reports, Time-saving companion,Traceability tool, Picture Management, Time-line tool, Contentment Management, HIPAA Cloud, Multi-Device and many more. 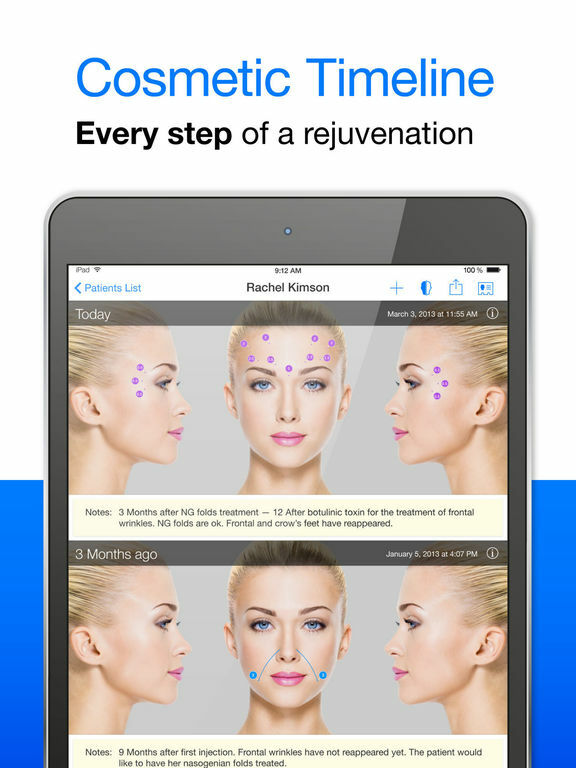 Designed by professionals for professionals, iRejuvenation App efficiently reports facial rejuvenation procedures thanks to an amazing Reports Editor. Patients’ reports and consents are easily exported as PDF files in order to be added to patients medical files. 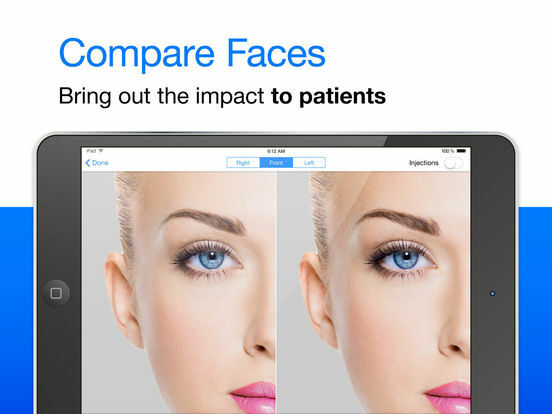 An innovative Compare tool allows to show patients the evolution of their faces throughout the rejuvenation process. Data encryption, a restricted access to the application and an indispensable Traceability tool insures optimal safety and security for practitioners and patients. iRejuvenation is completely free to use for the first 5 patients. The "Unlimited Patients" in-app purchase will allow an unlimited patients count. iRejuvenation handles the entire cosmetic injections work environment. Patient consent, patients’ medical pictures and injections procedures reporting and export are all integrated into iRejuvenation’s workflow. iRejuvenation allows accurate aesthetic procedures reporting within a few minutes. The time-saving is estimated up to 20% for standardized procedures. 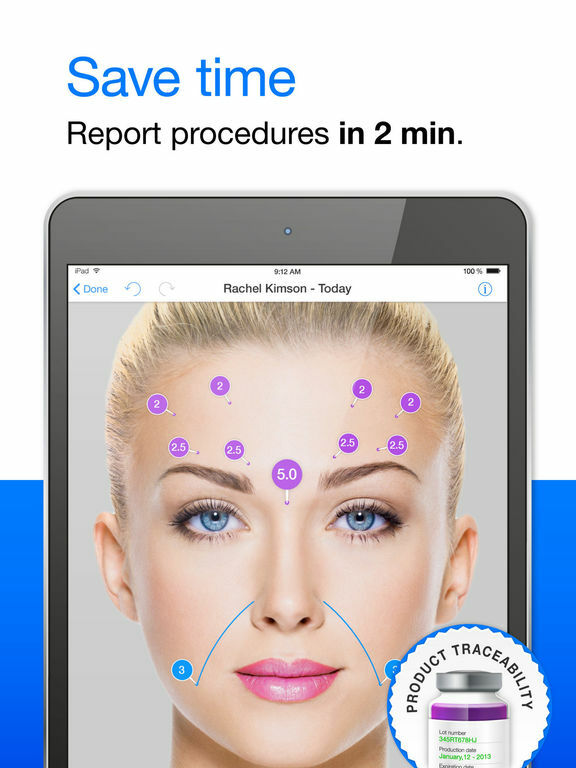 The report editor allows high-precision reports of facial aesthetic injections procedures. 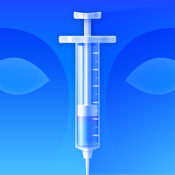 Botulinum A toxin, fillers, and fat injections can be easily drawn on the patient’s picture or on a standardized template. From one procedure to another, one can easily get the information about where precisely and how much of a product was injected in each facial area. Reports can all be exported as PDF files which can be easily inserted into the patients’ medical files. PDF files are automatically tagged with you professional data. These files can then be stored in your patients’ main medical file. These files can also be sent by e-mail to the patient or to her general practitioner. The iRejuvenation Compare Tool allows to show patients the evolution of their faces throughout the rejuvenation process. Bringing out the impact of cosmetic interventions might undoubtfully build patients loyalty and lead to word-of-mouth advertising. The iRejuvenation picture Tool allows the saving of patients’ standardized pictures at every step of the rejuvenation process. Regular picture taking through iRejuvenation will lead to the establishment of a « cosmetic timeline » of patients hence allowing the accurate analysis the evolution of patients’ facial features as well as the impact of cosmetic interventions. The cosmetic time-line can be easily shown to the concerned patient during a consultation. iRejuvenation is secure. All your data are encrypted and securely stored on your device. A personal password restricts the access to these data and lets you peace of mind when leaving you iPad to your relatives. With the recent PIP scandal, health authorities have emphasized on the importance of traceability. The iRejuvenation traceability tool allows the recording of injected products information. The search engine allows to easily retrieve patients who have received a certain type of products (using the product’s name or the number of lot). iRejuvenation is a major tool for communication. Patients’ pictures tagged or not with the performed injections can be easily exported as JPEG files. After pictures anonymization, the cosmetic practitioner can easily illustrate meetings presentations with high quality data and precisely explain to colleagues his approach to facial rejuvenation.